Today we OFFICIALLY welcome Saint-Tail to the page as full-time artist. She did 100% of the art from the lines to the colors. I, of course, added the dialog and whatnot. 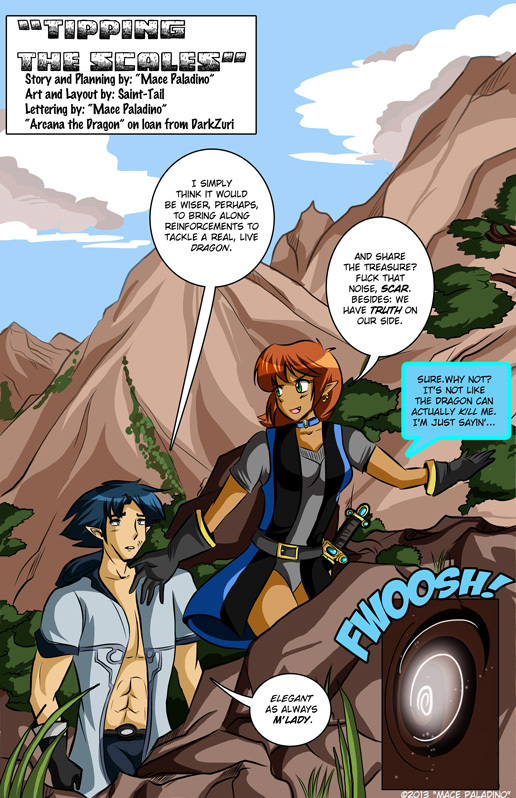 In short, Mint and Co. are climbing a mountain in order to find some nebulous treasure, but as is typical with this series, I’m sure she’ll find far more than she bargained for.